St. Paul’s Church is called to witness to the love of God extended to this congregation and the world. That love is without limit, full of mercy and grace, rich in forgiveness and, of its nature, includes everything that lives. There can be nothing outside that love and nothing the love cannot overcome. Our witness therefore is radically inclusive, as God is inclusive; radically merciful, as God is merciful; and radically generous, as God is generous. It is the good news. 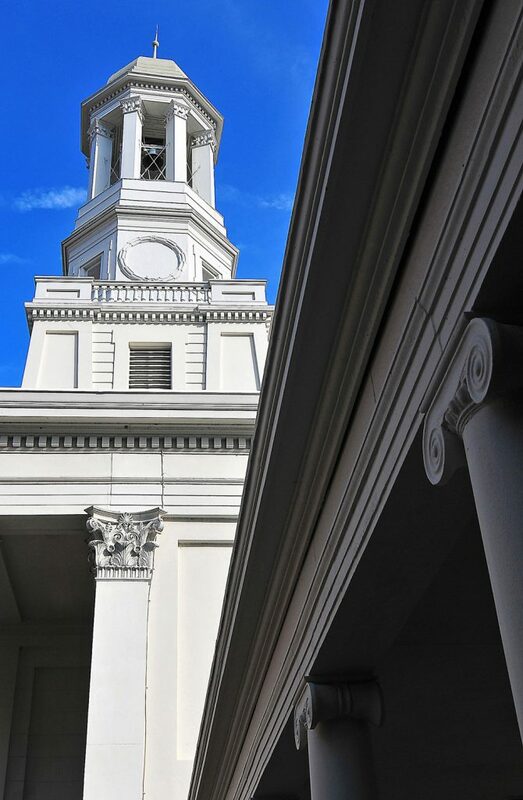 Located at Capitol Square in downtown Richmond, St. Paul’s Episcopal Church is an urban fellowship for all people with an active congregation that is enriched by our history and focused on our mission of proclaiming Christ in the heart of the city. Our clarity that it is important to leave stereotypes at the door, our openness to God and to God’s love, our acceptance of those with lifestyles, values, or personalities different from our own, are all gifts of the Spirit and come from God. We share resources of faith, hope, and discernment and recognize enormous potential in our location, our facilities and the blessing of people from every generation and lifestyle. In addition to being a source of strength and a place for Sunday worship for people throughout the community, we are a Monday through Friday resource for those who live, work and play in the neighborhood. Consider St. Paul’s your spiritual home for all that you do downtown. Please be sure to check the church calendar for changes to this schedule and for special events! Weekly Encouragement: What Makes Up a City of God?